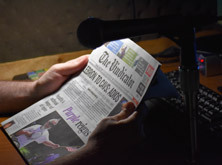 Youngstown Radio Reading Service (YRRS) is a private, non-profit station broadcasting readings of local newspapers, magazines, best-selling books along with presenting talk shows and special interest programs to people experiencing visual impairment across Northeast Ohio and Western Pennsylvania. How Can I Listen to the Youngstown Radio Reading Service? 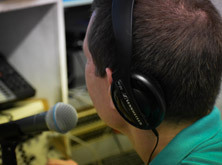 Airing over the SCA (sideband) of WYSU-FM in Youngstown, Ohio, YRRS is available to listeners in Ashtabula, Trumbull, Mahoning and Columbiana counties in Ohio and across Mercer and Lawrence counties in western Pennsylvania through specially tuned radios provided free of charge, and the streaming service available from this page. If you would like to acquire a specially tuned radio, please contact us online or by phone at 330-759-0100 or 1-800-452-2525. YRRS serves individuals with visual disabilities and other physical or mental impairments. 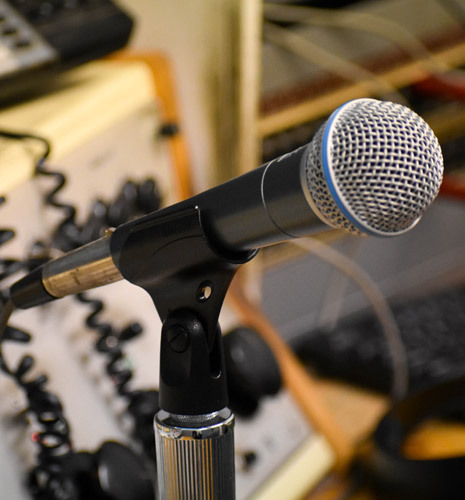 YRRS is made possible by funding through the Broadcast Educational Media Commission of Ohio, United Way of Trumbull County and Lions Clubs with underwriting provided by local businesses and residents, foundations, grants, private donations and Goodwill’s operation. How Does the Radio Reading Service Work? 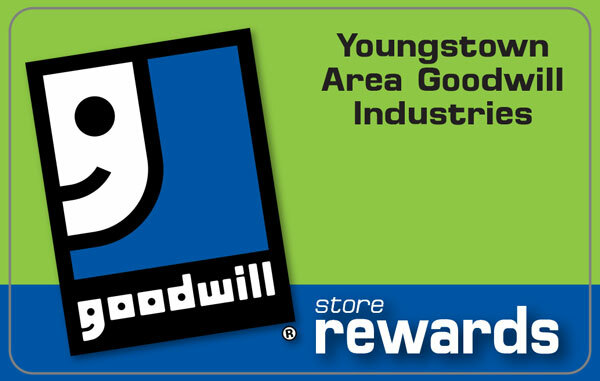 YRRS is a mission service provided by Goodwill and operates out of its headquarters located on Belmont Avenue in Youngstown, Ohio. The Radio Reading Service staff along with more than 120 volunteers broadcast readings and in-house programming and assist with station operations. This includes distribution of radios for the blind and visually impaired, transportation services and the coordination and training of new volunteers. How Do You Become a Radio Reading Service Volunteer? If you’re interested in becoming a YRRS volunteer, or to make a donation, contact us online or by phone at 330-759-0100 or 1-800-452-2525. We’re always looking for new volunteers to help out our staff, whether on a regular basis or one-time commitment.